E-Cargo Carps offers a state-of-the-art Installation and Service Centre, well renowned for its expertise in the mechanical tarp system industry. We can even adapt a competitor’s tarp system to work with our products. We have sophisticated equipment for repairing damaged tarps. We can design a specific system to fit your particular needs that will meet the highest industry standards. E-Cargo Carps offers a highly personalized service. Our team of experts is ready to meet and exceed any challenge to adapt, repair and even modify a system. E-Cargo Carps also offers the best customer service provided by a team of professionals. Please note that we have appointed a waiting room for your drivers inside our facility. No matter the size or type, we can custom our mechanical tarp systems to your trailer. E-Cargo Carps as a Parts Centre right on the premises. We keep a large selection of parts on hand. 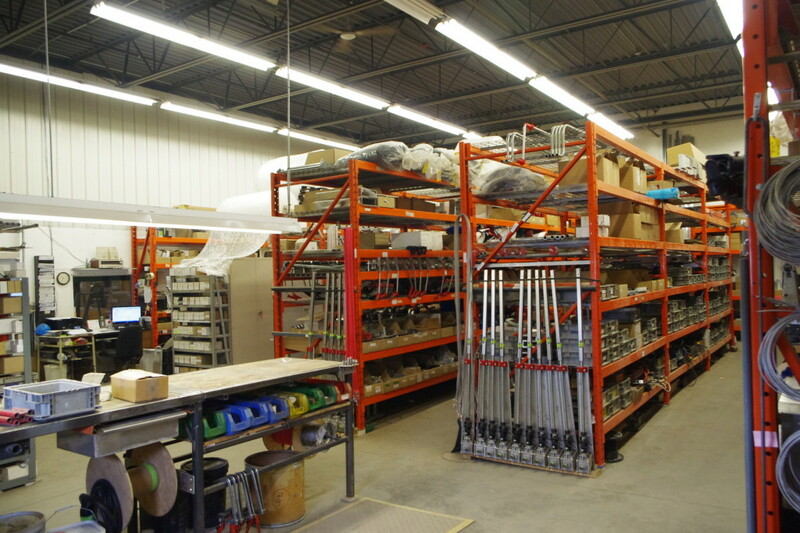 We keep a complete inventory of parts for our E-Cargo Carps mechanical tarp systems, as well as for other systems.